Here is a list of the best Aruba attractions, updated in 2019. Check out the historical sites of Aruba or visit a butterfly farm, there is plenty activities for everyone to do. 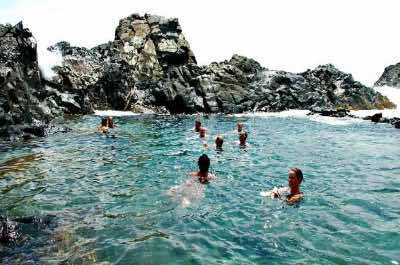 Swim in a natural pool formed by volcanic rocks, explore an ancient shipwreck and learn about the Aloe plant. Historians will be enthralled at the Archaeological Museum and the Gold Mills Ruins. For the brave, there are dark caves to explore and deep sea diving. Let the family bond on a wonderful day outing to an ostrich farm or butterfly paradise. Whether you want to see De Palm Island, or experience Antilla Shipwreck Tours, the attractions on the island are in a class of their own! Here we highlight some of the best Aruba points of interest for you to choose from. One of the most interesting Aruba attractions is the comfortable Atlantis Submarine as you explore the incredible underwater world that exists around De Palm Island. Atlantis Submarines in Aruba is a fantastic way for you to journey into depths of the Caribbean Sea and view the brightly colored coral reefs and tropical marine life that swims around. Your Atlantis Submarine adventure takes place in a state-of-the-art submarine that dives to depths of 130-feet where the world of the Caribbean Sea comes to life with colorful living animals as well as shipwrecks like the WWII German freighter the Antillas. You will also learn about the various marine life during your journey as your captain relays interesting facts about Aruba and the animals swimming around in their picturesque habitat. 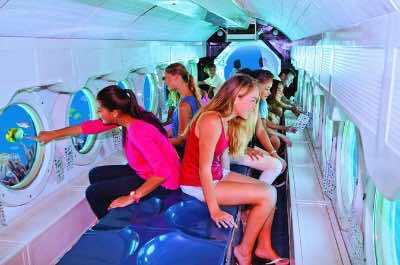 Atlantis Submarine is a great family-friendly Aruba attraction and one of the best Aruba points of interest that is sure to please every adventurous person in your group. For those who love natural pools, Aruba offers one of the most stunning on the planet. Massive rocks and volcanic stones form a natural boundary enclosing a large basin that fills with ocean water. The calm clear water, the imposing craggy brown rocks and the ocean in the distance creates a scene that will enchant. Reaching the Natural Pool may be a challenge and is probably best done in a 4-wheel drive. A rather rugged road, not very well marked, is the only access route. Visitors can travel there alone, although if you are unsure, it is a good idea to hire a local guide. The pool is known as 'Cura di Tortuga' to the locals. In Papiamento, the official language of the Caribbean, Tortuga means turtle. Legend has it that sea turtles once inhabited this natural space before they were sold off. Explore the rocky crags, swim, snorkel or sun bathe at this Aruba attraction. The pool is best used on calm days. When the weather is rough, huge waves crash over the rocks creating spectacular scenes to be photographed, but making swimming rather dangerous. Located off the western coast of Aruba is De Palm Island, a small island that people from the mainland use as an escape for rest and relaxation. 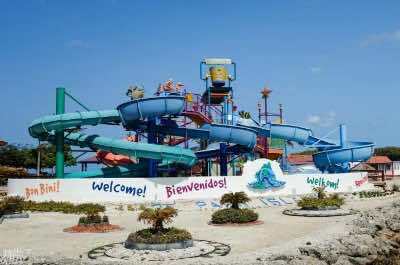 This spectacular Aruba attraction offers a fabulous cabanas filled with a host of attractions for adults and kids. Outdoor activities for those who love the water include swimming, scuba diving and snorkelling. Explore the magnificent coral reefs, they are famous for the beautiful blue Parrotfish, native only to this region. If you prefer to stay on dry land, try sun bathing, a lazy walk on the beach or a lively game of beach volleyball. All-inclusive packages offer the chance to relax totally, with your fill of unlimited drinks and delicious food. Families with children will find De Palm island to be perfect with water sports for the children and cabanas with an open bar for the adults. Plan a day outing and set off to Port De Palm on the main island. From there, take a ferry or catamaran to De Palm Island, it is a most enjoyable, short scenic trip. Although this wonder of nature has sadly collapsed, it is still a magnificent Aruba attraction to see. 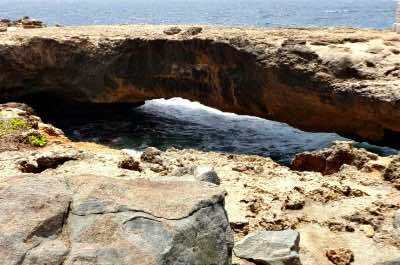 A natural bridge, formed totally from thick coral limestone that was carved out by thousands of years of waves pounding into it. When intact, the bridge stretched for more than 100 feet and rose 23 feet above the surface of the water. Prior to its collapse in September 2005, this structure was the largest naturally created bridge in the Caribbean and people could walk across it. But don't despair! The location still offers massive rocky remains that can be explored on foot and stunning ocean views to thrill the eye. Visit this site after your swim in the Natural Pool, it is close by. Over the ages, the treacherous waters of the Caribbean have claimed many a ship. The coast line is littered with sunken rusty remains steeped in history and create amazing diving experiences for the brave! The most popular shipwreck in the waters of Aruba is the SS Antilla, launched in 1939, it is one of the top Aruba attractions. This ship was a Hamburg America Line cargo ship and sailed for less than a year before running aground on the deadly rocks. 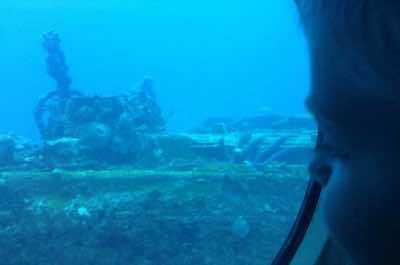 Take a dive excursion and explore the wreckage, it is 400 feet long and you can swim inside through the portholes into the interior, much of which is still intact. The ship is a haven for beautiful corals, brightly coloured tropical fish, shrimp, lobsters and sea anemones. Sea turtles and manta rays are regularly seen here too. Make sure you have a high-class underwater camera to capture these exotic Aruba attractions. If you prefer to remain above the water, take a trip to the California Lighthouse. This iconic Aruba attraction, located near Arashi Beach, is recognized world wide and is a popular meeting spot for both locals and tourists. It was named after the steamship California which ran aground nearby in 1891. The lighthouse is being restored, scheduled to be completed in May 2016, which coincides with its 100 year anniversary. Spend a day soaking up the view of clear skies and panoramic scenes of the Caribbean Sea. Then watch the myriads of stars appear as evening falls. There is good reason why this is one of the most photographed venues on Aruba. 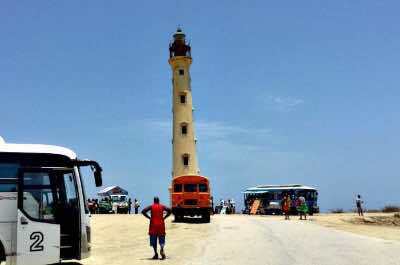 When you feel hungry, set off to the White Lighthouse Restaurant, known locally as La Trattoria el Faro Blanco -another popular Aruba point of interest. It has rave reviews and serves traditional Italian cuisine. 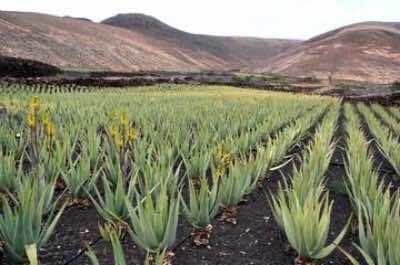 The Aloe plant is native to Aruba and has become one of its leading exports. Known for medicinal and healing properties, extracts and variations of the plant are sought after world wide. Learn all about the Aloe when you visit the Aruba Aloe Factory & Museum. You can take a complimentary walking tour offered in English, Dutch, Spanish or Papiamento, the native language of Aruba. Become an expert on the history of the Aloe, its uses and how it is processed. A visit to this Aruba attraction makes for an unusual and informative outing for the whole family. Aloe products such as creams are available for purchase inside the factory, and in several retail stores around Aruba. 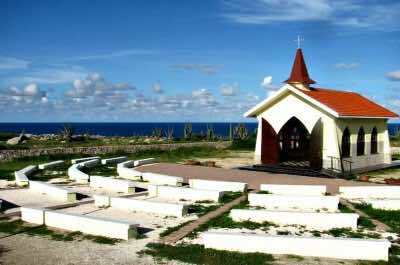 The poignant sight of a lonely little Chapel set on a hill on a Caribbean island will enchant historians. This iconic Chapel was built in 1750 by Spanish missionaries. It still conducts services to this day and is thought to be the oldest continuously operating Church in the Caribbean. The setting of this popular Aruba attraction is inspiring, the gardens are beautifully landscaped and manicured and this is one stop that must not be missed! Take selfies, attend a service and then relax and soak up the ambiance. 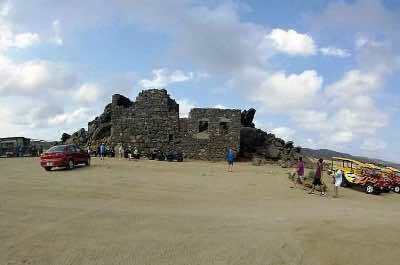 Set in the dry desert interior of Aruba are the ruins of an ancient gold smelter. 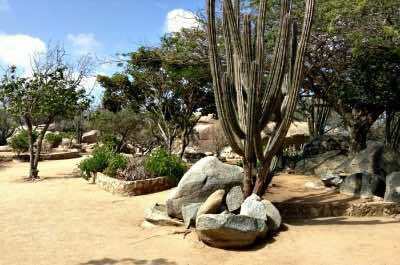 This Aruba attraction is known as the Bushiribana Gold Mill Ruins and is well worth a visit. The smelter was built in 1872 by an English company and Aruba saw a mini gold rush that had explorers excavating gold with the aid of dynamite. The stone fortress style structures, built to discourage attacks from pirates, still stand to this day, although in a state of ruins. The setting is magnificent, with views of the island and the surrounding ocean. Historians will be enchanted and cannot miss this day excursion. Legend requires that you find some loose stones, stack them on top of one another and make a wish. Who knows what may happen on this exotic island paradise once you visit this Aruba point of interest! For those who love the outdoors, a visit to the Arikok National Park is a must. This area comprises almost 20 percent of the island's terrain and offers a variety of Aruba attractions. Discover lava formations, underground caves, hidden tidal pools and desert-like hills filled with tall cacti. There is wildlife in abundance, ranging from indigenous snake species to unique birds that exist only on Aruba. Explore on your own or take a guided tour. It is recommended to visit the park with a 4 x 4, wear sun protection and take enough drinking water with you on the trails. When you are done exploring, relax in the magnificent visitor centre. It was constructed with sustainable materials and has eco-friendly options that include a water basin underneath the building used for cooling and solar panels on the roof to provide green energy. 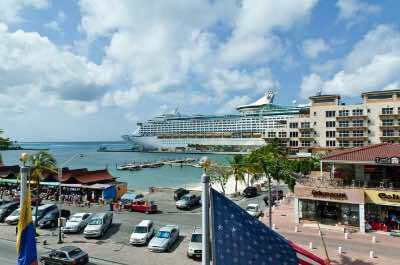 A fascinating Aruba attraction that cannot be overlooked is a visit to the Cruise Port. Filled with shops, restaurants, history and culture, this makes a great family day-outing. Start in Oranjestad, the capital, and head for Seaport Village Mall for some retail therapy. Then stroll along the streets and admire the Dutch-style architecture. Historians must not miss the Historical Museum and if you want more shopping, hit the main strip, Caya G F Betico Croes. Take a taxi to the beach or rent a car for a longer excursion. Palm beach is filled with movers and shakers, luxury resorts, casinos and activities. For something more laid-back, Eagle beach is picture-perfect with endless stretches of white sand and azure blue water. Everyone loves a sad romantic story and the Guadirikiri Caves offer their own! Legend tells that the two caves held a pair of lovers, condemned by the girl's father to remain here, due to an unworthy match. Upon their death, their souls vanished up to the heavens through the holes in the top of the cave. 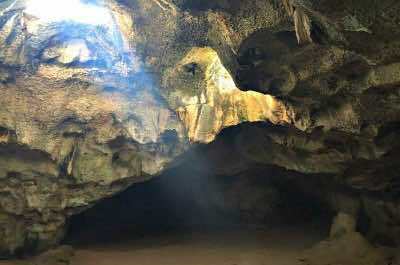 Explore these imposing Aruba attractions that stretch almost 100 feet into the darkness. Damp and cold, the walls are lined with Arawak Indian drawings and the only light that enters is via the holes in the ceiling. A worthy trip, but mind the bats! If you have never been up close and personal with an ostrich, now is the time. Take your family for a tour of the farm. You will learn about these amazing birds from knowledgeable guides. Find out about their incredible speed when they run and learn about their mating and feeding habits. Try your hand at feeding one yourself. 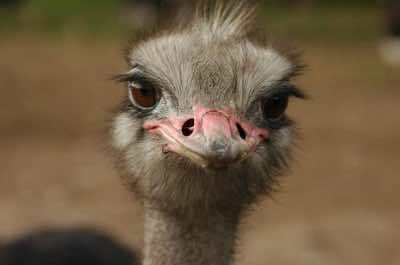 Take a trip through the incubator, hatchery and the special pens for young ostriches and emus. To finalize your special ostrich farm adventure, a decorated ostrich egg as a souvenir is offered for purchase to take home! 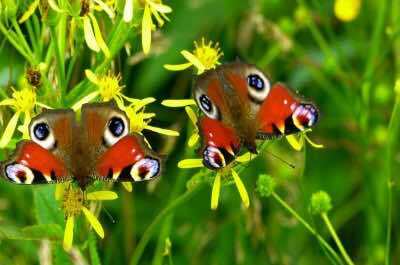 Visit a paradise on Earth set in a lush tropical rain forest bursting with trees and flowers, silent ponds and rushing waterfalls, filled with colourful butterflies fluttering all around you! The kids will be enchanted at this exotic Aruba attraction. Take a guided tour in this exceptional venue and learn about the life cycle from microscopic eggs to exotic caterpillars and finally magnificent butterflies. Guided tours run all day and last for about 15 to 20 minutes. Make sure you have your cameras, this beautiful display of exotic butterflies from around the world is sure to leave you with a smile on your face. This venue, established in 1981, showcases the rich archaeological heritage of Aruba. 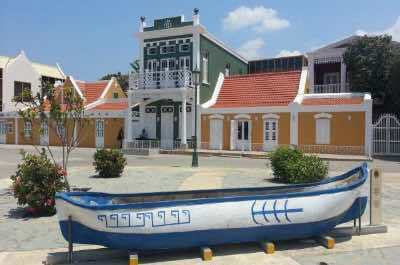 It is located in historical buildings in downtown Oranjestad which feature beautiful Dutch Colonial architecture from the 19th and 20th centuries. A permanent exhibition offers the visitor an insight into the cultures that inhabited the island in early historical times. The museum also offers lectures, educational projects, temporary exhibits and workshops. This exciting, interactive experience will highlight for you Aruba’s rich cultural heritage using hands-on interactive displays. It's an Aruba attraction not to be missed! Photo by Jasha on Flickr. 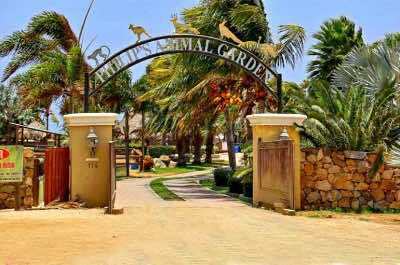 Philip's Animal Garden, a delightful venue for children and the young at heart is one of the best Aruba attarctions. Phillip Merryweather spent years of his life saving and adopting abused and abandoned animals. This Garden is a culmination of his lifetime dream, one where he has created a safe venue that focuses on rescuing exotic animals on Aruba and surrounding regions. The organization is non-profit and relies on income from donations and tour fees. There is an abundance of over 50 species of exotic animals to be seen. Visitors are encouraged to touch and even feed some of the animals. Interactive and educational tours take place at this Aruba attraction every half hour between 9am to 5pm, seven days a week.